Written on September 14, 2011 by Kevin. Welcome back Moon Dough. Moon Dough has really become a staple in our house. My wife and I grew up with Play-Do but our kids will have had Moon Dough. Simply put, it doesn't dry out. Moon Dough has even come up with a new formula. I received a complimentary Breakfast Kit from Moon Dough/Team Mom and the kids ate (pun intended) it right up. I had them sit down at the table and then surprised them with the new set. They showed pure excitement and then proceeded to play for at least 30 minutes which is definitely great in our books. They had a blast making breakfast related items such as toast, waffles and pancakes. This new Moon Dough now features a better consistency for molding and is less crumbly. Of course it still never dries out. I can certainly confirm this as the kids have a habit of not cleaning up after they are done. 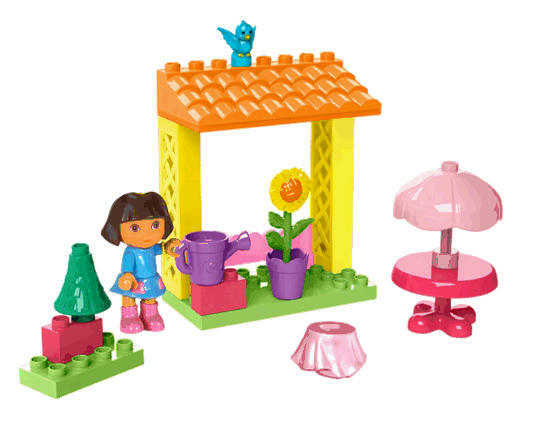 They also offer an Ocean Pals, and Snack Shop kit which of course includes the new formula. 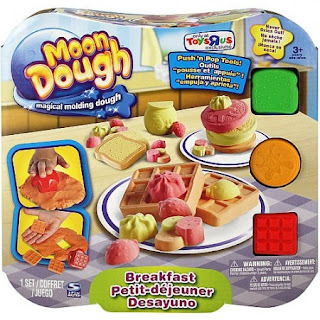 Moon Dough is available at stores such as Toys "R" Us, Walmart, Kmart, Amazon.com and even Michaels. I would definitely check out their website (http://www.moondough.com) for additional information.